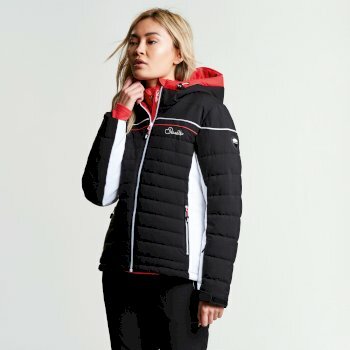 Highly waterproof and breathable baffle ski jacket with a tailored look that fits in from snow to street. Made from durable ARED VO2 20 000 polyester Oxford fabric. Four-way stretch for aerobic mobility on the slopes. Lightly textured fabric overlay detailing. Chevron quilted with high warmth, low bulk fill. Technical hood with wired peak and single pull adjuster. Powder blocking snowskirt (detachable) with gel gripper. Adjustable hem and cuffs to seal in the warmth. Multiple pockets and a headphone port to stay on beat. Solidly built ARED VO2 20 000 fabric ski pants mapped with AEP KINEMATICS technology. 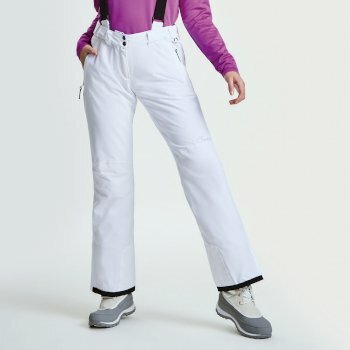 Our gold standard in women's ski trousers. Made from tough wearing Oxford Polyester with a small grid pattern. Highly waterproof and breathable. seam-sealed. Fully lined with high warmth, low-bulk fill. Four-way stretch and articulated knee design for aerobic mobility. Detachable bib system and adjustable waistband for a fine-tuned fit. Snowgaiters and reinforced hems to keep them stronger for longer.